The Mercure San Sebastián Monte Igueldo hotel is ideally located on Mount Igueldo, offering panoramic views over the sea and the Bay of La Concha. It is connected to the city by a century-old funicular railway, one of the main tourist attractions in the area. The hotel has an outdoor swimming pool, open during the summer months, meeting rooms for business meetings or events, and the El Torreón restaurant where guests can discover Basque cuisine, which is one of the best in the world. 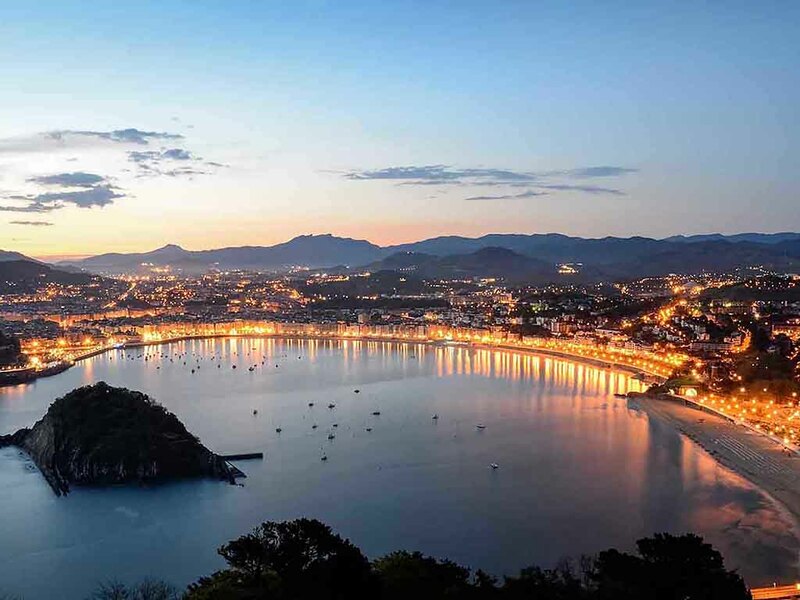 Come to San Sebastián and enjoy every second in this wonderful city. Its gastronomy and beaches are legendary and discovering Basque culture is a must for every visitor. Did you know that the Basque language is older than Spanish? Our hotel offers a range of spacious and functional rooms, most of which have panoramic views over the sea and the city. Based on your needs, you can choose between the Standard and Privilege Rooms suitable for those traveling business trip or a vacation with your partner or family with WIFI Internet access, independently controlled air conditioning, safe and desk. No pets. The EL TORREON Restaurant is perfect for discovering Basque cuisine. Relax in the sophisticated atmosphere of our wine bistro bar, designed with a nod to the 1920s. Newly opened in 2017, the bar offers a select menu for lunch or light dinners. This attractive new space was opened in 2015 in an idyllic location next to the 100-year-old vintage amusement park. Enjoy typical pintxos and a selection of fast food dishes in a modern space.